Alas, there will be no life-sized AT-AT, nor will there be an app that makes your Smartphone look like the PADD from Star Trek. For those fans who wanted these projects to happen, copyright issues have stopped any further production and funding. To say nothing of the whole “it’s not really feasible to build a life-sized AT-AT” thing. But there are no hard feelings. At least not where the Lucasfilm camp is concerned. Mike Koehler, who was in charge of AT-AT For America, wrote on his Tumblr page that after “heartfelt” conversations with Lucasfilm’s official fan liaison Steve Sansweet, there was no choice but to halt efforts on building an AT-AT. 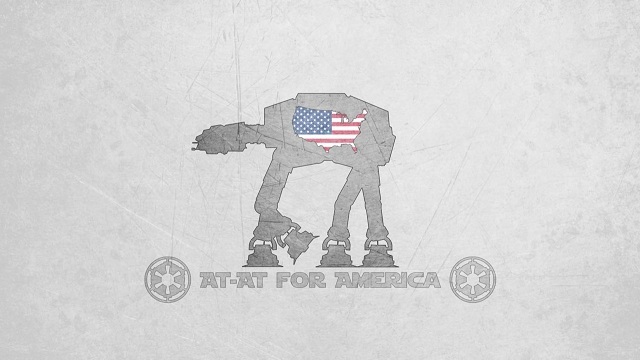 I have a tiny kernel of a idea with what we could do going forward with AT-AT for America that I will discuss with Mr. Sansweet and Lucasfilm once I get a plan together. Things were not so cordial when it came to the PADD app, though. Park Bench Software, which developed and sold an app (for $1) that could make your Smartphone’s display look like the DiagnosticPADD from Star Trek, was threatened by CBS. In an email, CBS said that the app was “using [their] branded Star Trek elements” and that infringes on their intellectual property rights. Though Park Bench Software couldn’t find evidence that such a display could be trademarked, they have decided not to fight CBS’s lawyers.